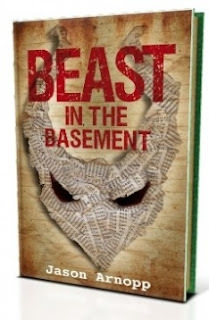 Remember my recent mention of a competition for buyers of my horror novella Beast In The Basement? This was the truth. In fact, there'll be weekly competitions from now 'til Halloween. A series of prize draws which you only have to enter once. The first competition starts NOW, on Friday, September 28. It will end at 11.50am GMT on Friday October 5. Every Friday in October, I'll randomly select one buyer of Beast In The Basement who'll win the latest prize. I'll then announce the next prize and a new week-long competition will begin. 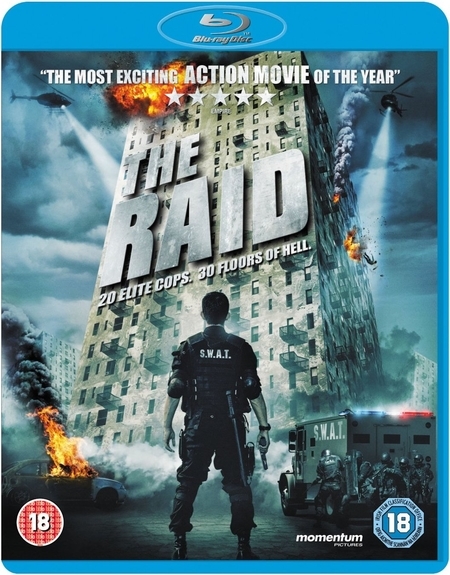 The first prize, as you might have gleaned from the cryptic image here, is a UK Blu Ray (or DVD, if you prefer) of director Gareth Evans' action spectacular The Raid, courtesy of the good folks at Fetch Publicity. The film's out now on Blu/DVD via Momentum Home Entertainment, and all you have to do to win one is purchase Beast In The Basement, which you were going to do anyway, right? Right? Right. Simply forward your Amazon email receipt, from any Amazon site worldwide, to this email address: 'mail at horrornovella dot com' with the subject line 'Competition'. That's it - you're entered. Your entry will remain valid for however many competitions I run for Beast In The Basement. You'll only drop out of the running if you win something. Entrants can live anywhere in the world, although I can't guarantee that you'll be able to play some prizes (a Blu Ray for instance) on your chosen device. There we have it. Needless to say, your email address will not be used for anything at all, apart from to notify you if you've won a prize. These competitions are, regrettably, not open to people who I regularly meet and know in the actual physical world. Might look too weird if you win. 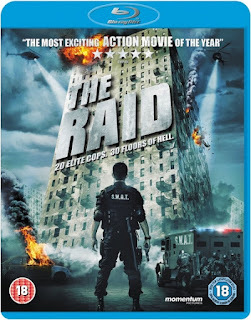 You must also be of an age appropriate to the prize (in The Raid's case, that means 18).